Flutter, an open-source mobile application development SDK created by Google is getting more attention from developers nowadays. Flutter is used to develop applications for Android and iOS, as well as being the primary method of creating applications for Google Fuchsia (the capability-based operating system currently being developed by Google). Here I am going to explain the steps for installing Flutter on your Ubuntu system. 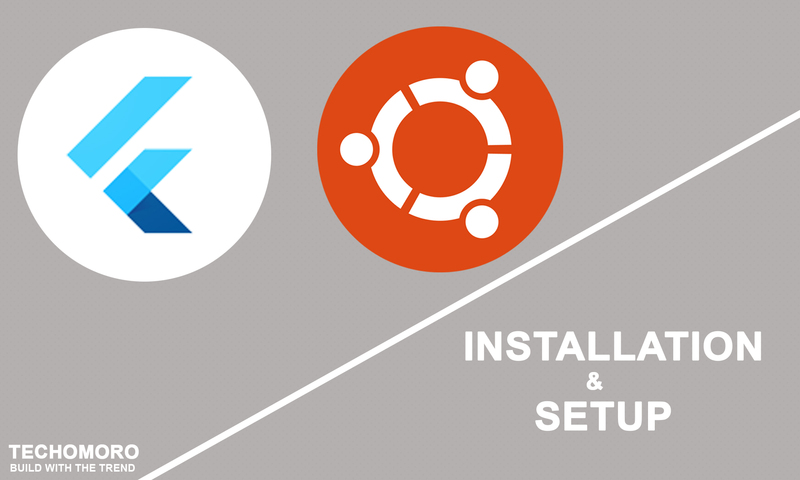 The installation of Flutter on Ubuntu is explained in Flutter documentation page. But I faced some issues when following it and some of the steps are a little bit confusing. This is the reason behind the making of this tutorial. If you are confident of setting up Flutter with official documentation, just go with the link below. Or else follow the steps. Usually, Native Android apps are built in Java. So Java Development Kit(JDK) is required. Android studio needs to be installed for working with Flutter development. You can easily download an Android Studio zip file using the official link below. Now Unzip the file to /opt directory by running the command. Add the lines by Copy-Paste method. Paste the copied code on the terminal screen. It’s an optional step to install the Flutter plugin on Android Studio. But it helps you if you are developing your Flutter project from Android Studio. This also installs Dart plugin which also required for Flutter development. This can be done from Android Studio Welcome Window. Now, Search of Flutter and Install. It requires a restart for Android Studio to activate this plugin. First, you have to download Flutter SDK using the link below. Now you need to add the Flutter to your path using the below command. You need to accept some Android licenses to start development with Flutter. Just run the below command and accept all the licenses by pressing y. You already added the Path variable before. But it only valid for the current terminal window. You have to run the below command to make it permanent. Creating a new application on Flutter can be done with three methods. Using Android Studio plugin, VS code plugin, or using Terminal + Editor method. Here, I am going with the third method(Terminal + Editor). You can choose your own favorite code editor for editing your project. But in my case, I choose Visual studio Code(VS code since it directly supports the Flutter and Flutter plugin. From the above link, you can download VS code .deb file compatible with Ubuntu/Debian. This deb file can be installed with a double-click on Ubuntu. After installing VS code, direct to your project folder. Open your project using VS code by just typing the below command. Form now on, you can use VS code Terminal instead of native Ubuntu Terminal because you can use the Terminal without going out of your code editor. Now you can run the project on your Android phone. Now, return to Settings. You can see the Developer options menu there. Enable it. Also, enable the USB debugging option in it. Connect your mobile device with your Ubuntu system using the USB port. Type the below command to check whether your mobile device is connected or not. 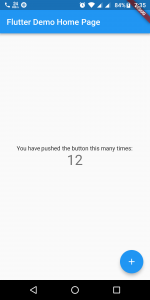 This will install and open the newly created app on your connected Android device.